Some amazing pictures today from one of our Cardiff surveyors taken whilst carrying out dry rot treatments in Cardiff. 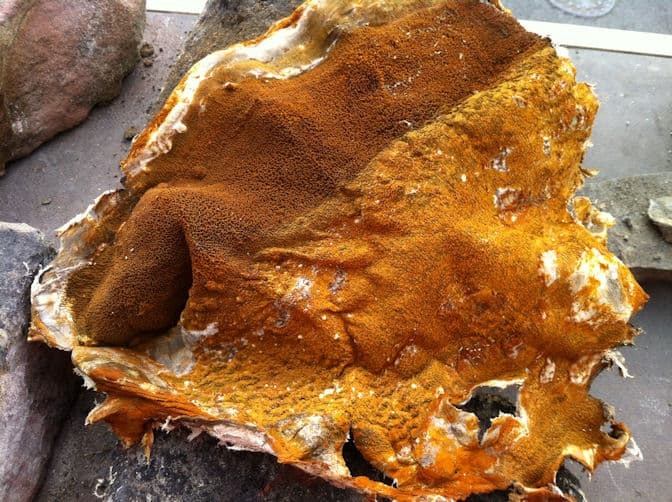 The property owner correctly identified that they had an issue with dry rot and judging by the size of this dry rot fruiting body they took the correct course of action and called in our specialist team from Timberwise Cardiff to treat the property. Ordinarily a dry rot fruiting body has the appearance of a ‘pan-cake’, and is quite fleshy in texture with an outer white coloured edge. 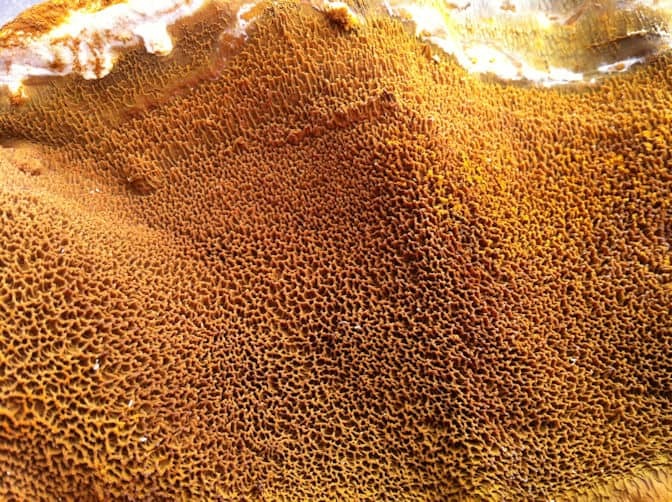 The surface area of the fruiting body is a rust red colour and contains a significant number of pores . The fruiting body or the area where fruiting bodies are present could very well be blanketed with a fine rust red coloured ‘dust’ – these are actually millions of tiny spores ejected by the fruiting body as part of its life cycle. Nothing will happen to these spores unless they land on a suitable and damp surface, such as damp wood. If they land on dry wood then nothing will happen provided that the wood remains dry – Dry rot needs water to initiate, grow and survive – without water it cannot grow. 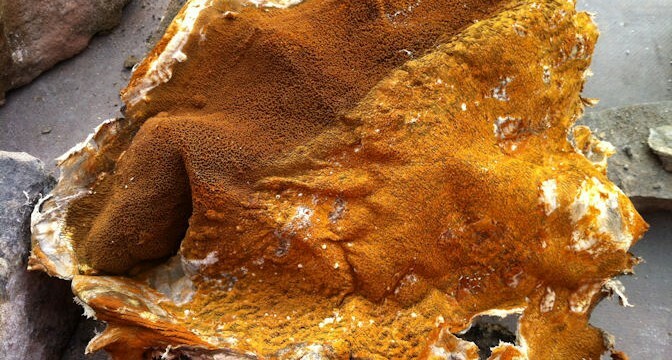 If you find what looks like a dry rot fruiting body in your property don’t panic! Call your local team of fungal decay specialists on 0800 288 8660. Our local teams are well trained in identifying and treating dry rot outbreaks in properties.